About Anatoliy Stone® …Laying the foundation. Anatoliy Stone Products understands what it means to start small and become great. And we create a stone product that sets a standard and impression of genuine artistic replication for other companies to follow. Effective, affordable, accessible, simulated stone that fits your design dreams is our undivided focus. We have 40 years of combined experience in the stone manufacturing industry. Every customer and every project is important to us, no matter what the size. Just as every stone is important to us and to the look of the end design. The extra benefits you receive with your investment in our products is a beautiful renovation or new construction that immediately and permanently increases property value and aesthetics inside or out. When making stone, our skilled craftsmen and artisans sifted through thousands of stone pieces to find just the right ones for processing our molds and casting our veneers. This shows through as we bring you lightweight stone veneer products with uncompromised and unequaled natural texture and beauty. We elevate the quality of faux stone, yet keep constant affordability and accessibility of it for the manufactured stone veneer industry. Homeowners, interior designers, architects, buyers, and builders all agree, this affordable stonework, made to mimic the natural stones from which they were molded, look incredibly real, even down to the smallest detail in both color and natural stone texture. They’re lightweight, installer friendly, and have a significant price advantage over real stone on the market. This allows them the maximum freedom and versatility to complete any stonework project beautifully, on time, and with ease. 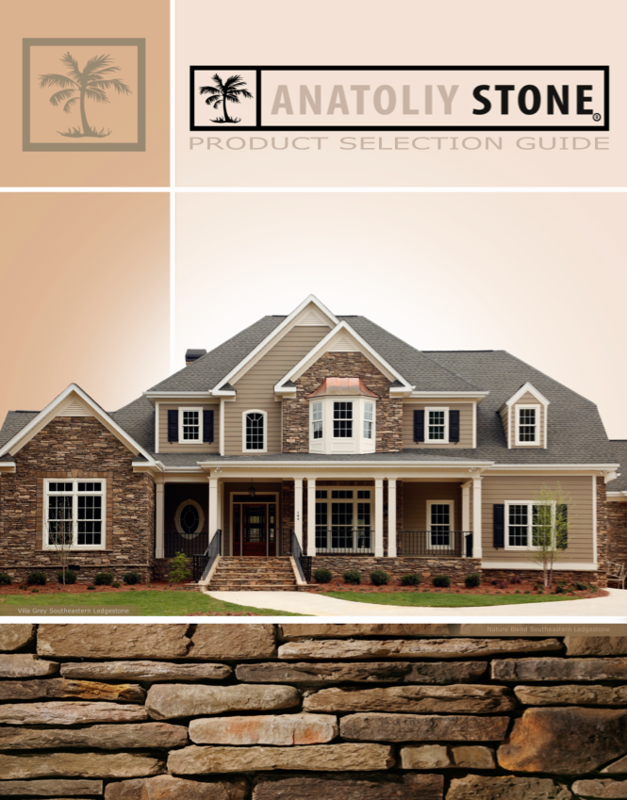 Anatoliy Stone meets AC-51 criteria; the strictest requirements in the manufactured stone veneer industry. We know how to bring you high-quality products. Likewise, we know when to be pioneers in the industry and when to rely on the same kind of innovative mold technology used by the architectural stone veneer industry’s other leading manufacturers. Our products are available in more than 12 textures and over 70 colors and are fully equipped with a 50-year limited warranty. But we’ll continue to expand the colors and profiles in our product line, as well as the number of distribution centers, to offer you real works of art in each and every stone used for your home or business, anywhere you live in the United States. Our eyes are constantly on all areas of product development, installation, and manufacturing, as we believe the time invested in these are as important as your investment in our bold standard of stone products.